If you’re on the cusp of starting that thing you’ve been dreaming about, Lisa and Emma O’Sullivan have all the goods to help you get moving in this episode. Emma is a daily success strategist who made the leap to online business after a career in journalism and the public service. She shares generously in this chat about the steps she took to make a successful transition from the corporate world to a life that felt aligned with her values. And if you’re already knee-deep in your business, you’ll know the internal battle this game can be. Emma has some amazing strategies and concepts to help you rise. 0:30 Lisa introduces her guest, Daily Success Strategist, Emma O’Sullivan. 1:56 Emma shares her experience of leaping from the public sector to entrepreneurship and the book she credits for it. 8:03 Why values need to come before money. 9:59 Emma drills down on her strategy for making the leap – what is the fastest path? 15:35 How you can use deadlines to rocket yourself forward. 18:16 The secret to getting over your pricing woes. 18:58 Feeling selfish for following your dream? Got a mad critic in your head? Listen here. 26:12 Are you committed to yourself or an outcome? We hope it’s the former! 27:55 Be the centre of your strategy. 32:14 You are a magnet, so what is coming at you? 33:32 Lisa and Emma jam on the daily habits that are the foundation for everything. 42:00 Emma shares some info on what it’s like to work with her as a coach and how to find her. 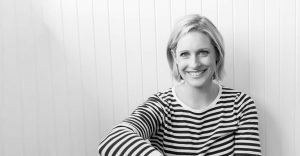 Connect with Emma O’Sullivan on her website.